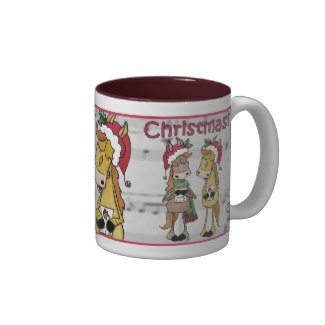 Where are the best Christmas music note mugs? What do you buy a musician for Christmas? 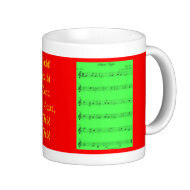 Well, why not buy a musical note mug? But where do you buy the best ones? When I was asked if I knew of any mugs with Christmas Carols on them, I thought there must be thousands! 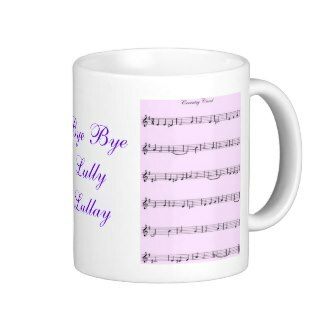 When I went to research this for a friend, I found that in actual fact there were not that many good music note mugs around. I decided to collect and showcase a few favourites here. I also designed a couple that I hope will fit the bill more closely. These mugs do not play music, you have to do that yourselves, but it is possible for mug manufacturers to buy chips to produce these. Zazzle take note! The problem? Not many musicians have time to think about mug design. All sorts of oddities show up in designs by non-musicians - and yet music note Christmas mugs are a potentially huge market. Musicians are very proud of their skills and interests. 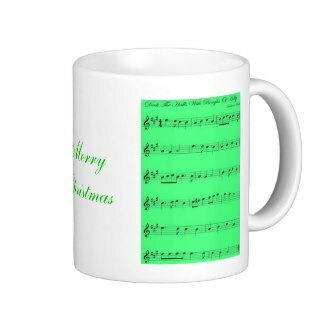 These are meant to be fun, so I hope you will enjoy looking at these music note Christmas mugs. Perhaps one day they may become winter warmers in their own right! 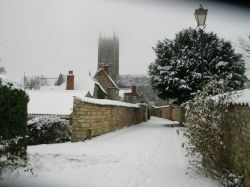 Intro image - Lincoln Cathedral in the snow - my own photo. Do not copy. This type of mug uses graphic imagery and takes musical notation as decorative motifs. 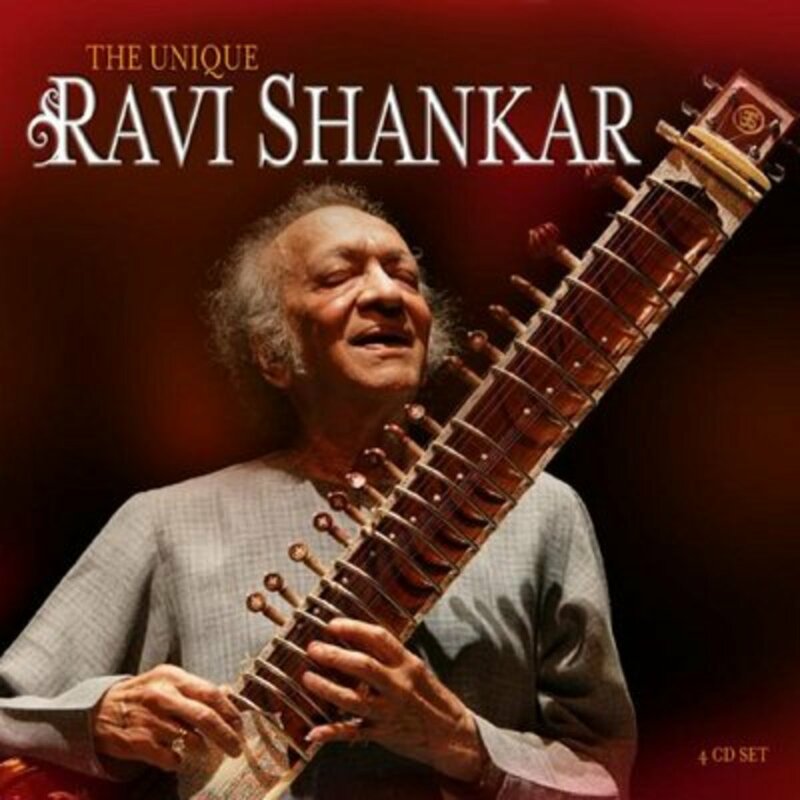 It is simple, sophisticated, suave and impossible to play on any instrument. Music note mugs like Robin Singing Competition are great fun. Some real cuties here, not very musical, but certainly Christmassy and Festive in the old fashioned way. I like this design for that reason. 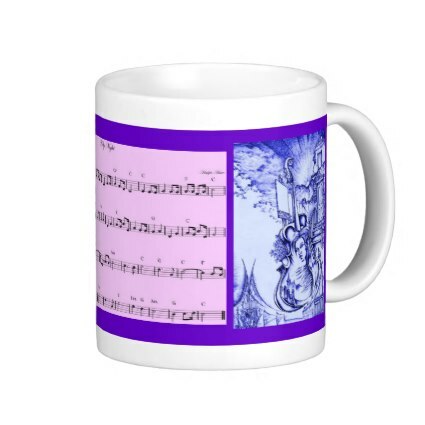 Music Note Mug - Mare'y Christmas To Equine Fans! I thought the Mare'y Christmas Mug was ADORABLE.... The Mare'y notes are proper music, but very much in the background. However, this is such a cute design I think they are just right! There is an adorable selection of Christmas dog mugs on Zazzle - and Cafe Press too - one for just about every favourite breed you can think of. The music notes are pretty, and it's nice that they are different colours, but you don't need a doctorate in music to know that there should be more lines than four on a music staff. You should check out this cute mug from Amazon though. 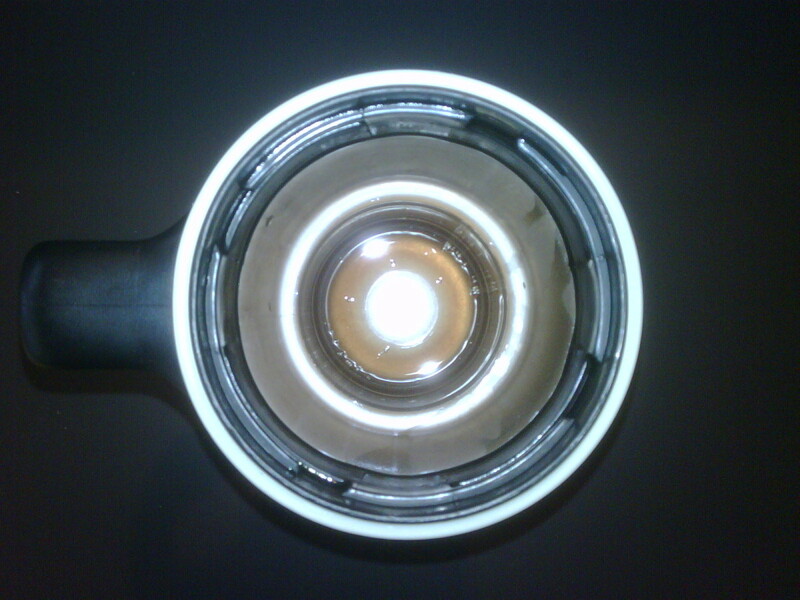 The Jack Russell, wind up gramophone and lo and behold music notes streaming from its horn! Music Note Mugs On Amazon - Do The Big Guys Do It Better? I thought a search on Amazon might find me a mug or two.... I found I was hardly spoiled for choice so what could I do? No Music Note Mugs? What Was I To Do? An upside of being a composer and arranger is that I have the music and graphics software to do just that, and here are my first three offerings. I couldn't resist making them a bit more glam with some nice images though... These mugs feature accurate musical note or guitar TAB renditions of famous carols, a seasonal message and a cute picture on the reverse! Play the tunes while your coffee cools on Christmas morning! Or have I finally found something useful to do at half-past pumpkin time? You tell me! Thank you, and Merry Christmas to you all! A Final Note - Was I A Mug To Even Try? @spunkyduckling: It would be great if they did now! :) Thanks for visiting! These Christmas mugs are awesome!. I was actually thinking that they sing. lol. This is great! I love this wonderful niche lens! 5* and blessed by a SquidAngel! 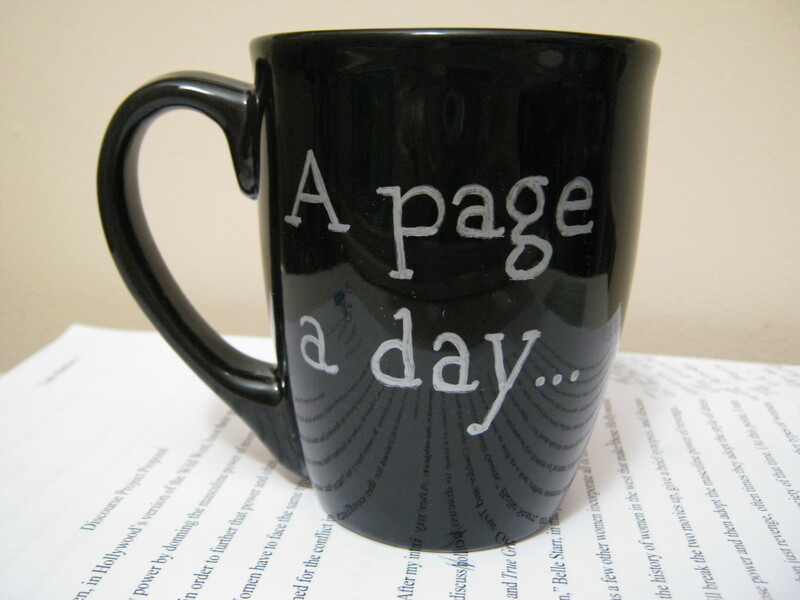 Ah, mugs are such a great gift -- I wonder if there is a base for the mugs that is musical? That would be neat. Very well put together lens. And 5 stars for the research of this unusual product! Nice work on a unique product, well done! I like the Christmas mugs you have displayed.